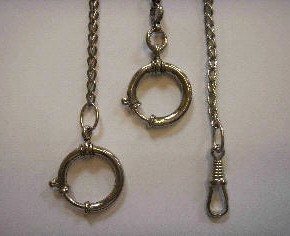 Chains for glasses made of anodised aluminium. 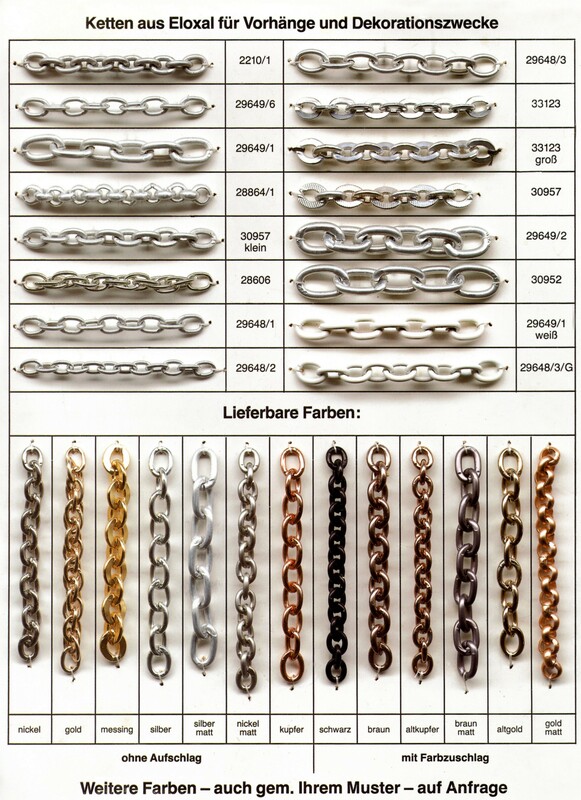 Chains for watches made of iron or aluminium, nickel-plated, available in different lengths. 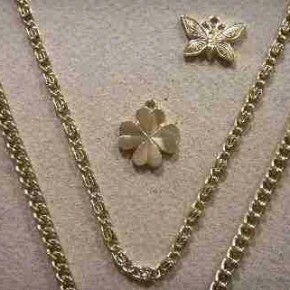 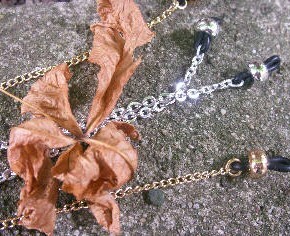 Anodised chains (Aluminium), turned into chains for glasses or necklaces.